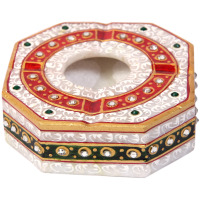 In this beautiful combine of designer bangles options 3 lines of solid gold plated brass metal connected at 1/3rd lengths by red and inexperienced stones encircled by lovely white stones. 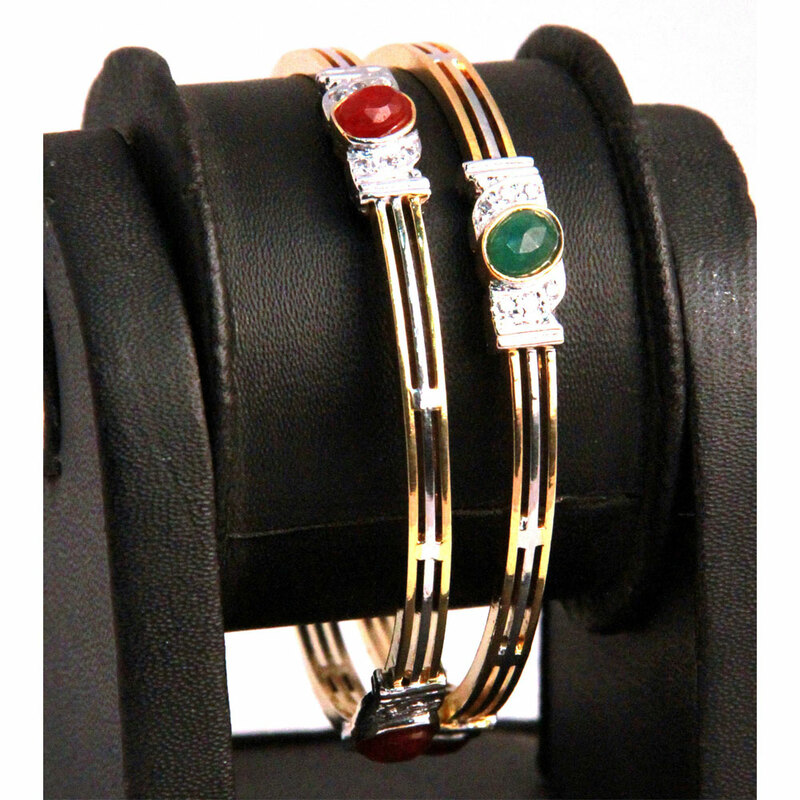 In this gorgeous pair of designer bangles features three lines of solid gold plated brass metal connected at 1/3rd lengths by red and green stones Read More..surrounded by beautiful white stones. The party wear bangle set is available in three sizes of 2.4, 2.6 and 2.8 inches to fit almost any woman. Show Less..